If I had a dime for every email I get from a baseball player, parent or coach that has a question about how they can generally hit the baseball better, increase their bat speed, hit for more power, and drive the ball with the level of consistency that is essentially a standard for baseball recruiters and professional scouts I would be a very very wealthy guy! Now with that being said, I want to lay out an outline of where I believe bat speed and hitting for more power comes from and what you need to understand to make this part of your or your players’ repertoire. There is a very dynamic relationship that exists with how your hands, shoulders and elbows move with your center of gravity or core. This is why core strengthening exercises are effective in almost every single physical activity in the world. When we begin a discussion of sport training, developing the core will be a staple. Now in regards to increasing bat speed and cultivating power you have to realize the getting extension with your hands is an important checkpoint. When a player moves his hands away from his body to a certain point, he has essentially put them in a location that allows his hips to pull his hands through the zone. The more dynamic he is able to do this, the quicker the bat speed. The quicker the bat speed the power potential for power. Which is always a good thing. Proper separation is an element that I take note of in every hitter that I analyze and encourage every coach that I discuss hitting with to at least examine to see if there is an area of opportunity that exists with proper separation. Absolutely not! One of the BIGGEST misconceptions is that you have to have a large physical make-up in order to hit the ball with power. Most coaches teach that if you’re a smaller guy then your job is to hit hard line drives or if you have speed, to hit the ball on the ground. Now there is some truth to this but there are some Bad Baseball Coaches that feel the need to put a threshold on what certain hitters are capable of doing by giving them roles that limit their tru potential. Don’t get me wrong. It’s incredibly important that a hitter knows his role on the team while becoming an expert on what his strengths and weaknesses are. The good news is that the information that will provide proper hitting technique that will help you to increase your hitting power is at your finger tips. Never before has there been as much information available that will allow you to become a better hitter. 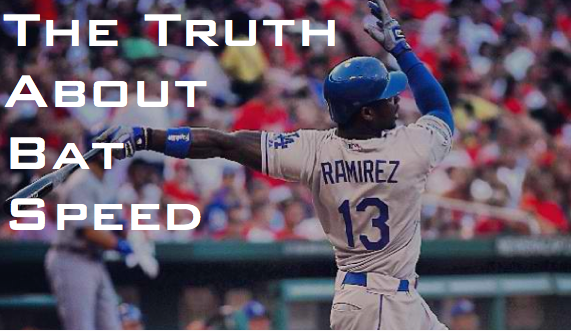 So does confidence play a role in you developing bat speed and hitting for more pop? As hitters, we’re emotional creatures. We rely upon external and internal cues to make decisions and respond accordingly When we’re confident in our approach and ability to hit the ball hard and consistently, we increase the likelihood that we’ll do so. Think about the last time you hit the ball as hard as you could hit it. Your body was working with a sense of flow. You were thinking less about mechanics and had cultivated a level of trust that is required with increased swing speed. The more confident we are as hitters the more effective our physical make-up tends to work for us. What is your favorite bat speed hitting drill? Tell me in the comment box below! Previous post: Art of Baseball Contest Giveaways!